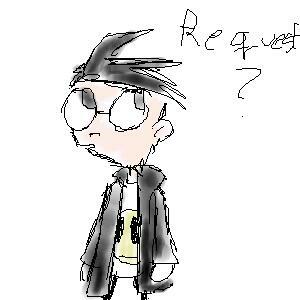 Special thanks to Meredith for transferring these files to the new server! 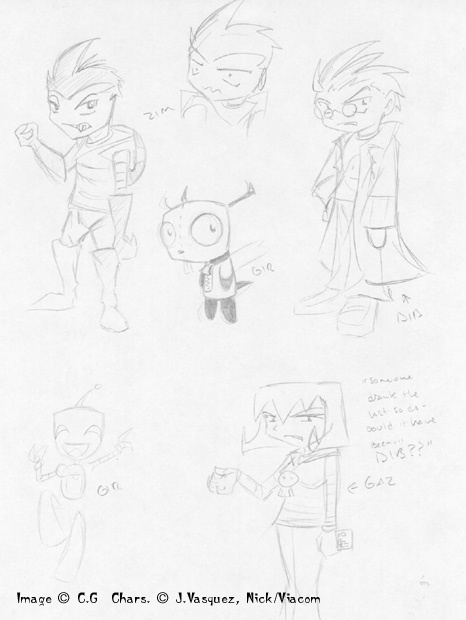 Various-- Just some random drawrings, all nicely colored. 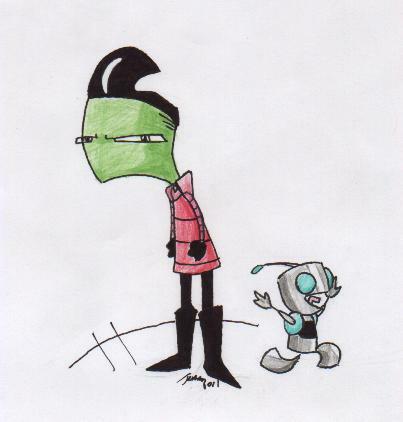 You must be this tall to invade Earth-- Nny taunts Zim's size, too. 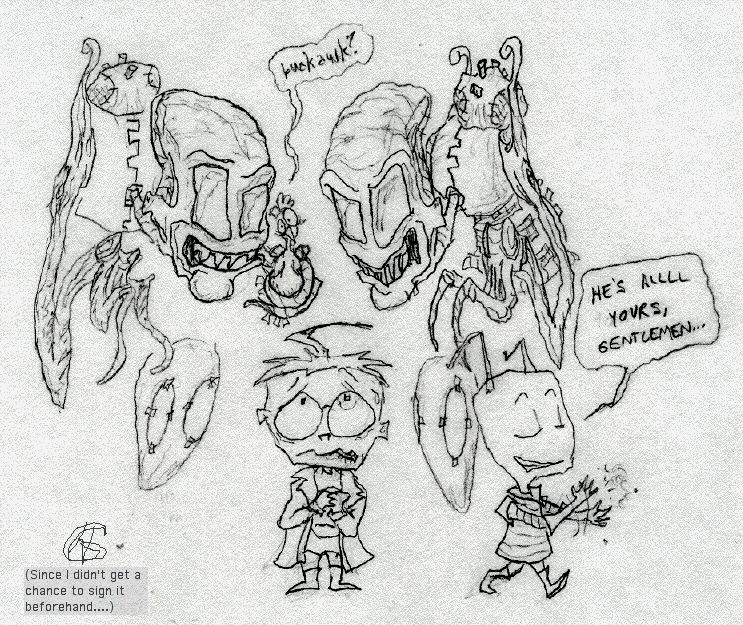 Kid drawrings-- Maelstrom's little sister drew these. 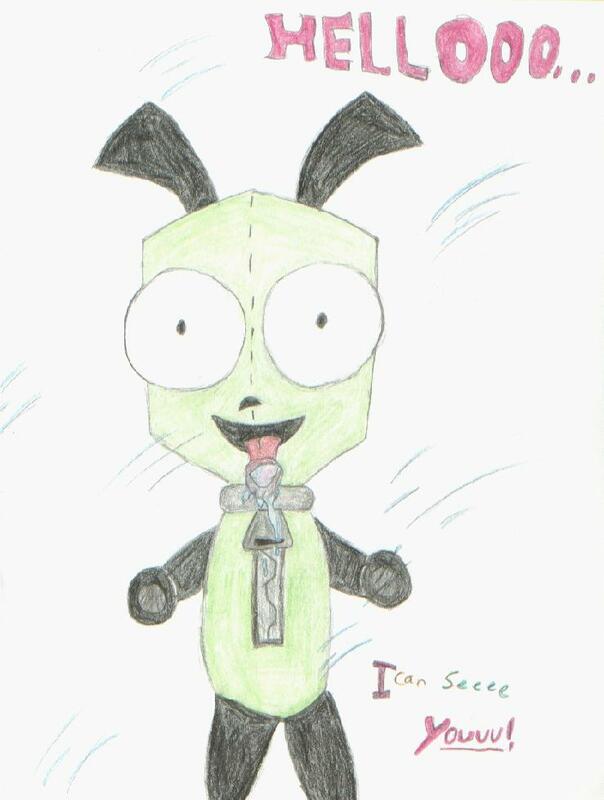 :3 The little Zim and GIR are good for a 9 year old like her. 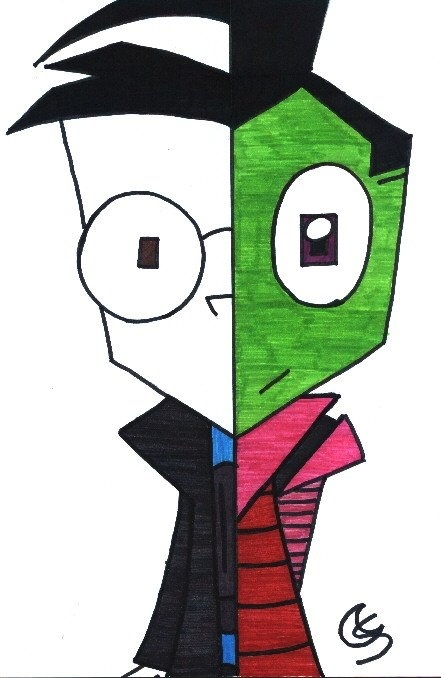 ^^ She, too, is frustrated by drawing Dib, as you can tell. 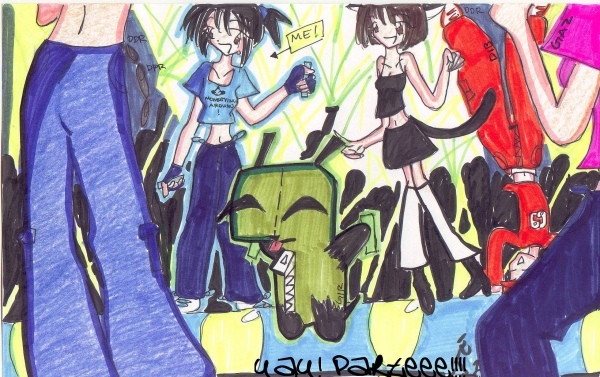 More kid drawrings-- Awww . 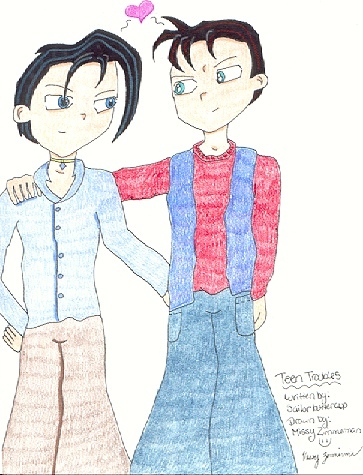 . . it's still so cute! 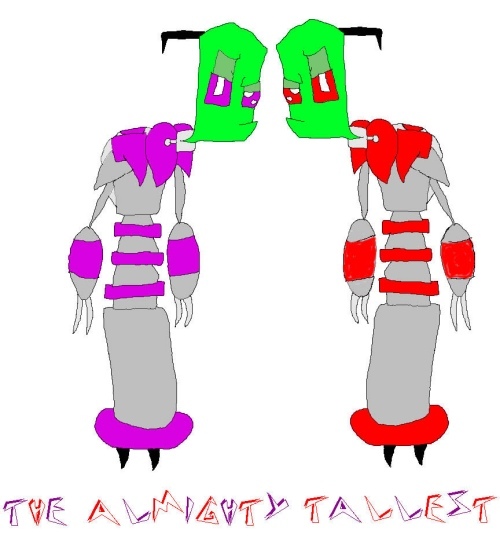 The Tallest-- CG Tallest. I like it much. 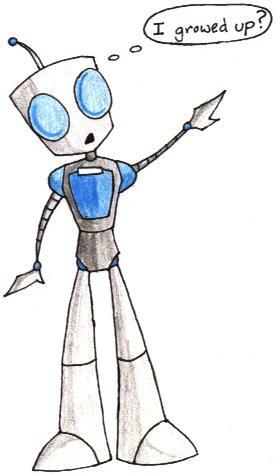 Obey his fist!-- Do as he says! Kill All BEES.-- I love this scene. 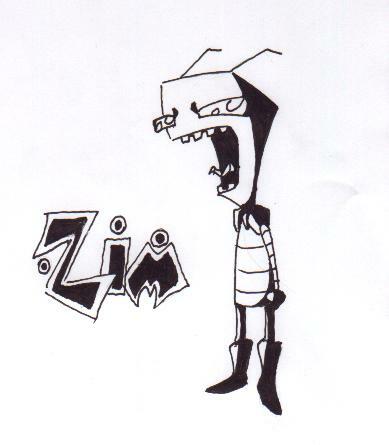 Lovely Zim-- Lovely Zim, as it says. 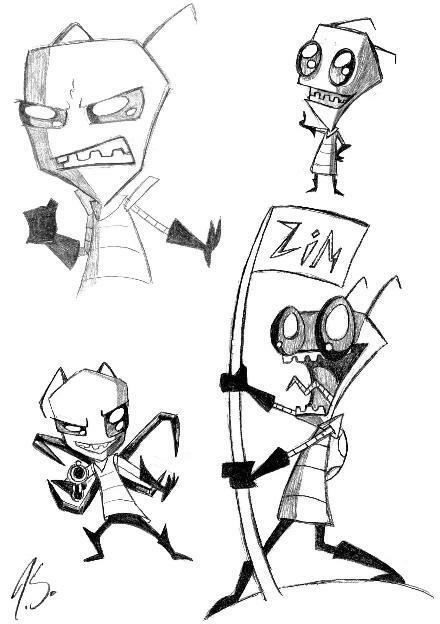 Cute Zim-- I like the attennae, looks unique! 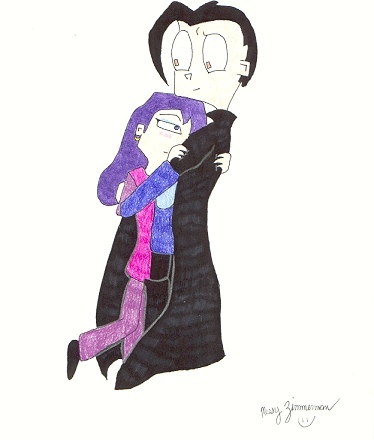 She hugs Zim!-- And gags him! 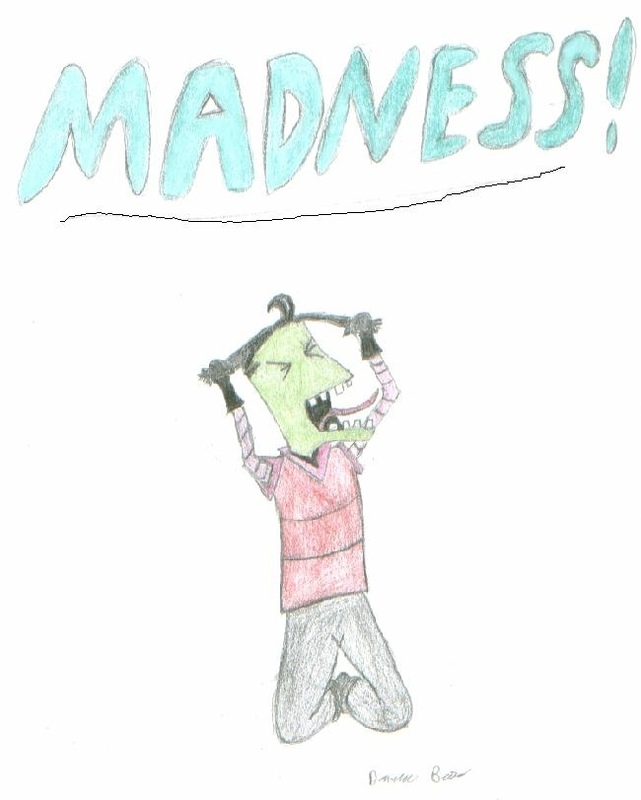 "I think he's crazy!" 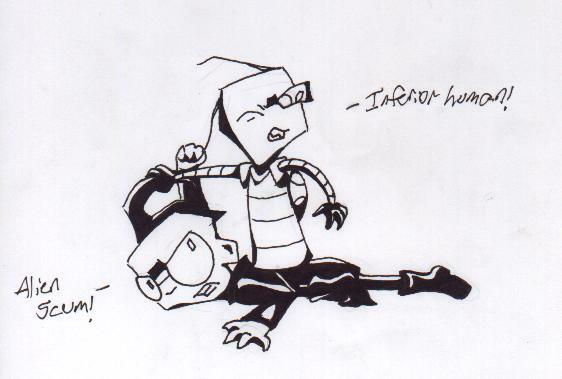 -- "GWAHAHAHAHAHAH!" 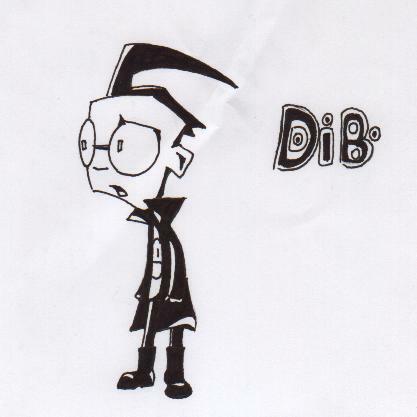 Dib-- 'Tis Dib in his glory. 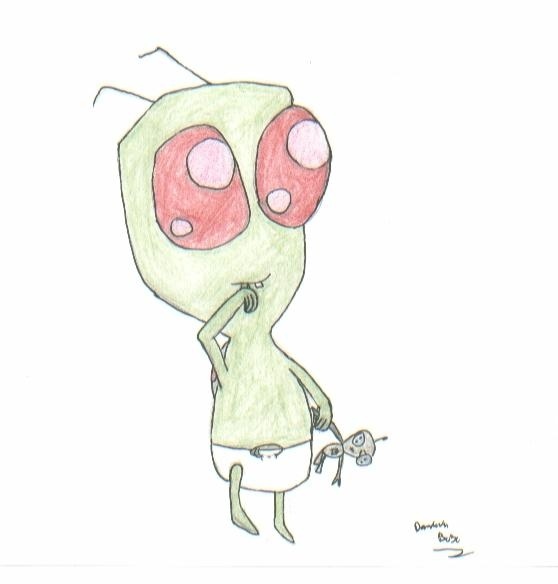 Cute Zim 2!-- Another cute Zim, I love the antennae! 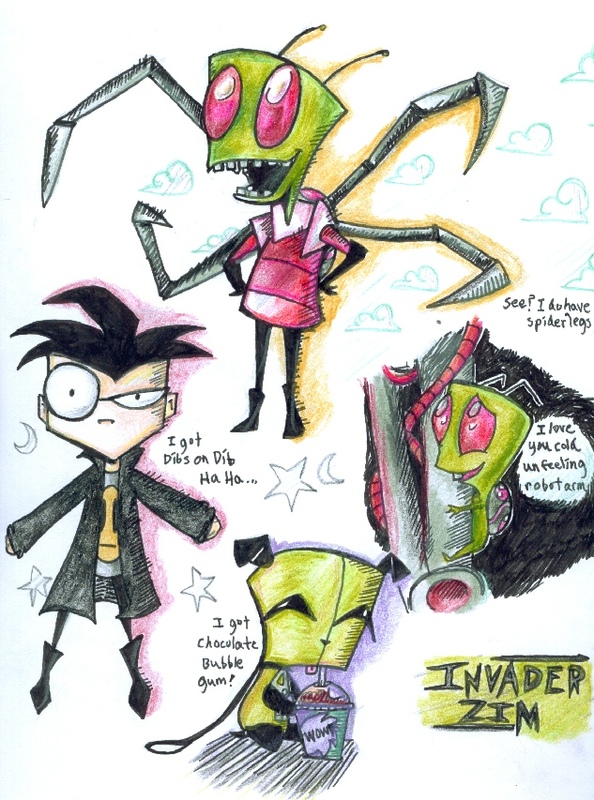 Baby Zim-- I think he has some issues. 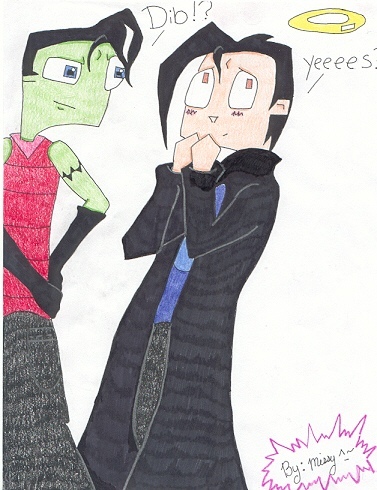 Baby Dib-- His eyes are so creepily cute! 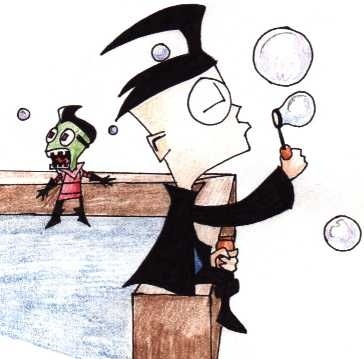 Bubbles-- Zim is scared of puny bubbles, too, sheesh. 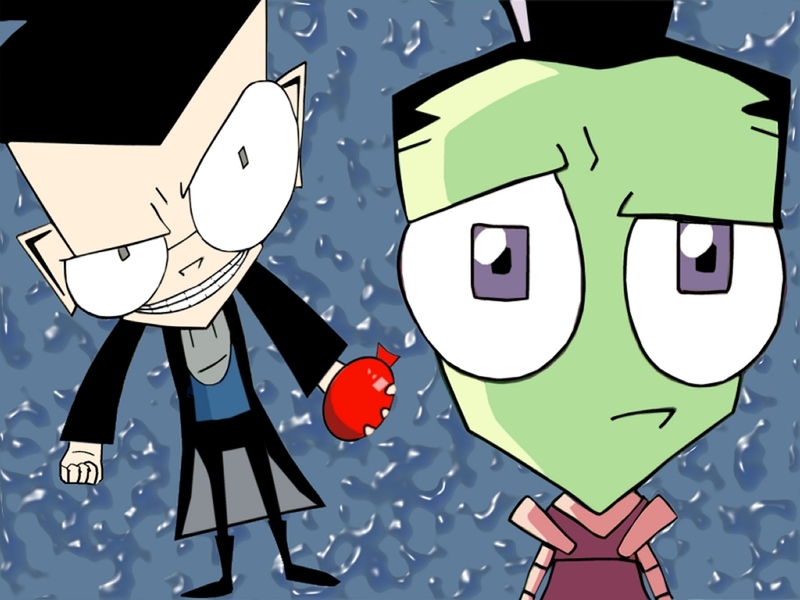 Squirt-- Dib and Zim gotta hold of a fresh frog there. 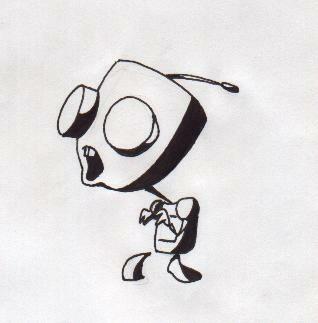 Upgrade-- Upgraded GIR, veddy cute. 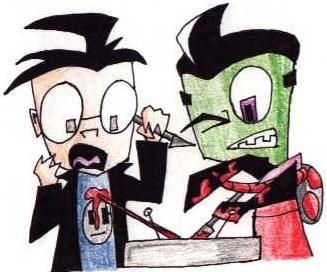 Grin-- Dib's shirt is grinning as he generally looks pissed. 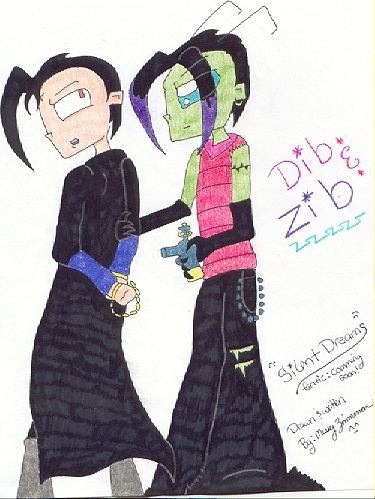 Zim in Dib's Clothing-- Spiffy! 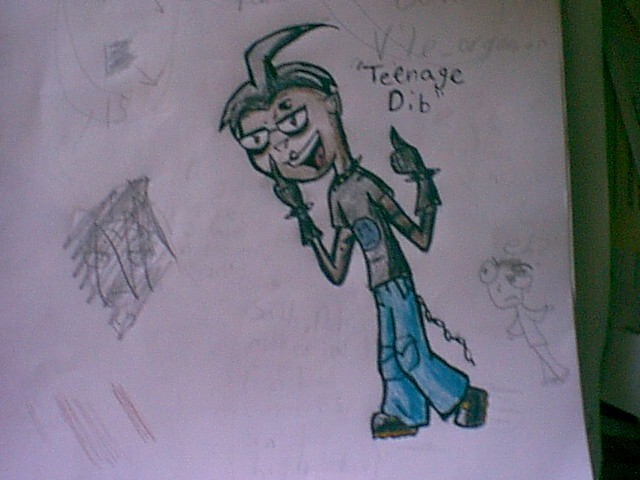 Freaky Punk Teen Dib-- He's flipping you off, not picking his nose, remember that. 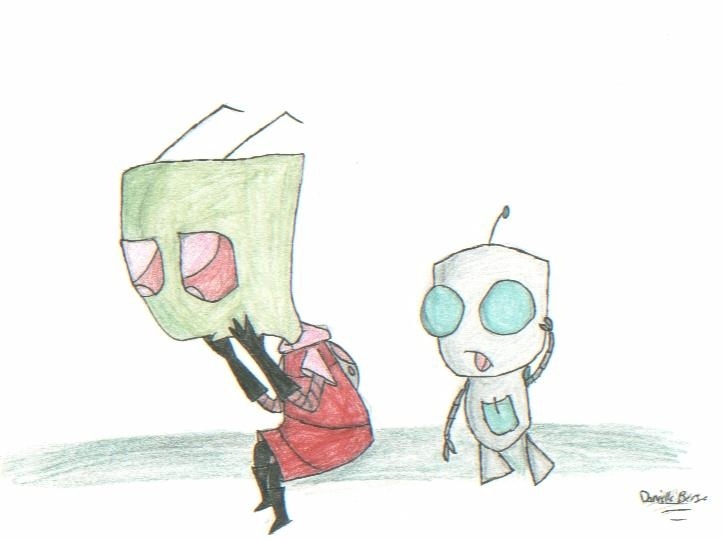 Raise-- GIR is being mean to Vasquez. 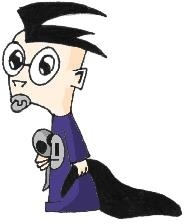 Winged Dib-- Dib with nifty wings, and blood, listening to people say mean things. 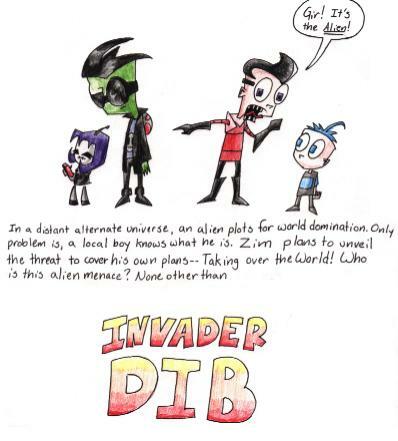 Poor Dib. 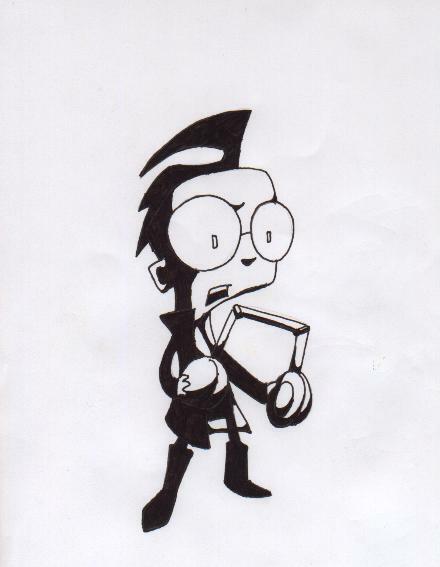 Dibby Kitty-- Dib as a cat, from a fanfic where Dib was turned into one by Zim. 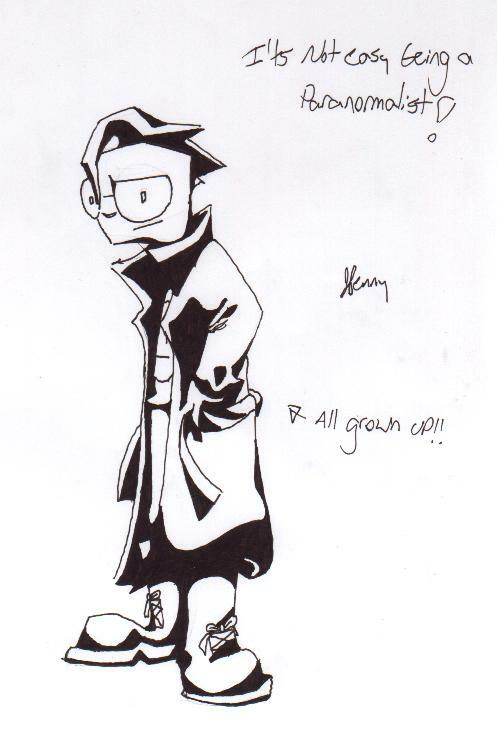 Kiddie Dib-- A younger Dib as opposed to everyone's older Dib! 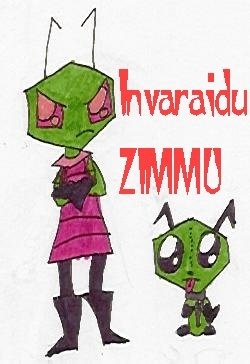 Zim and Gaz-- School play romance. "Who cares?" 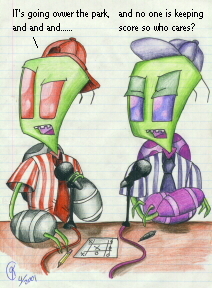 -- The Tallest host a ballgame. 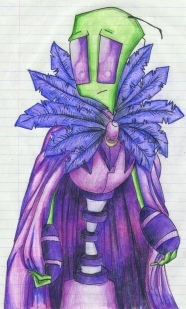 Purple-- Purple lookin' very fashionable. 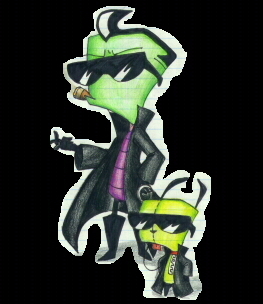 Zim and GIR-- In nifty sunglasses. 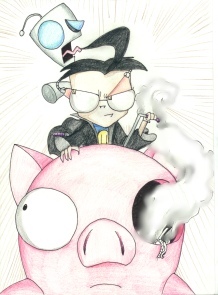 Dib, ride the pig!-- Dib is riding the pig instead of GIR. *shrug* Very nifty nonetheless. 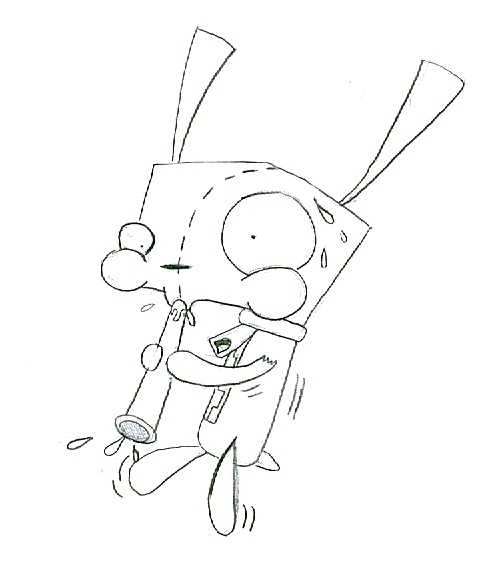 GIR is panicking in his ear, too! 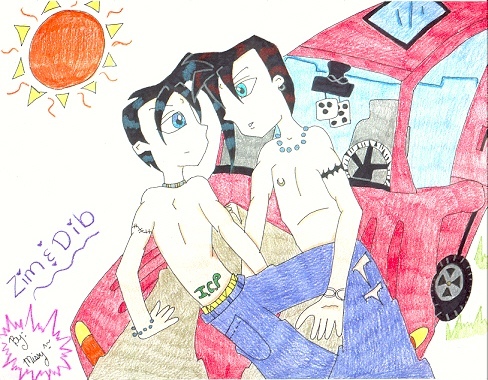 Dib kisses good, it seems-- Dib and Bid are kissing it up. Oooo . . . 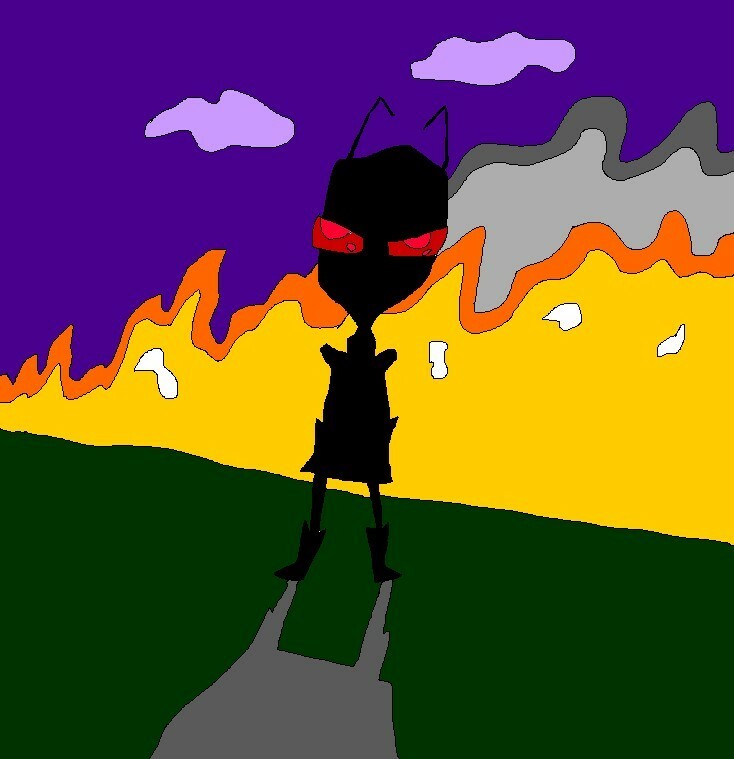 Ominous shadows-- A little teaser for her fanfic GIR-Napped. 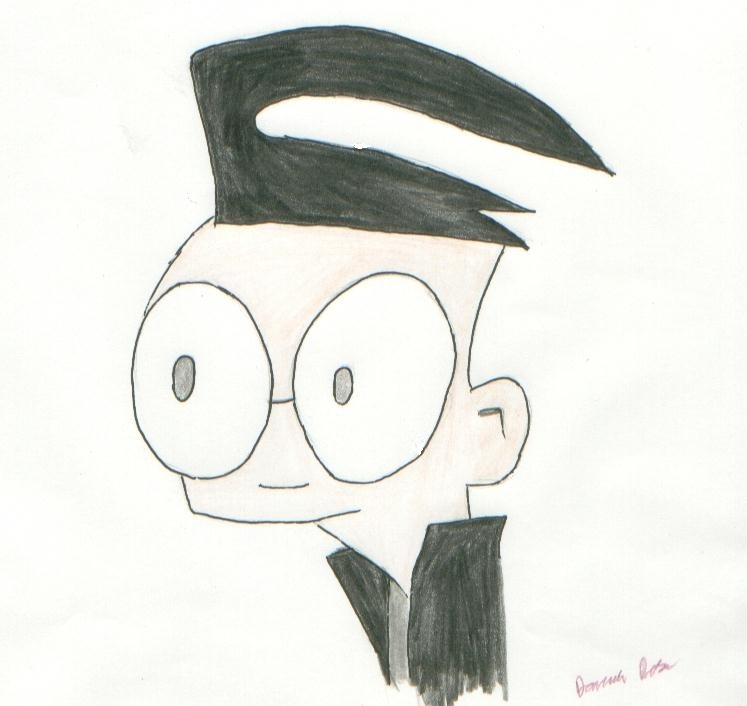 Bunny Dib-- Dib's . 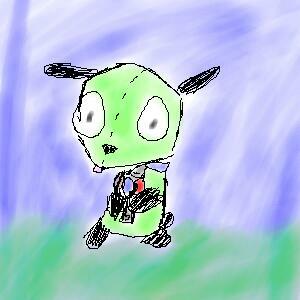 . . in a bunny suit for some reason or another. 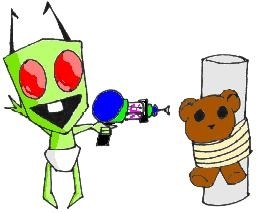 Chainsaw-- GIR with a chainsaw, more GTHM fun! 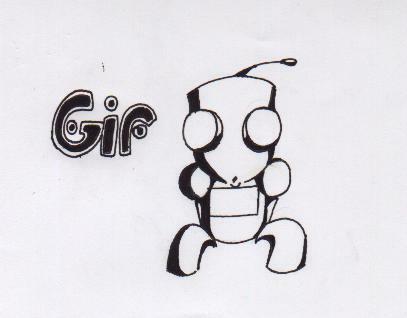 GIR GUIDE-- A guide to drawing GIR (though he doesn't have the bally things on his wrists . . .), trés nifty. 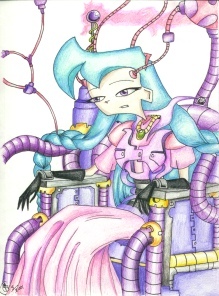 Czar's sillohette-- Sillohette of Czar, her original character. 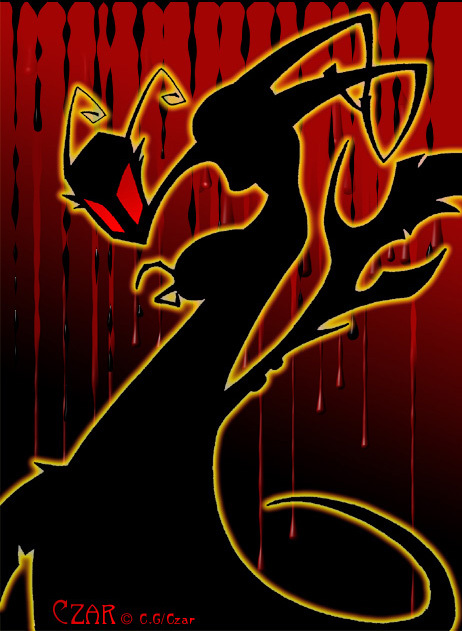 I put it up 'coz it's a very spooky picture. 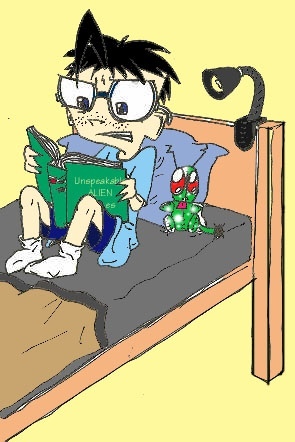 Red's glare-- Red's glaring right now, don't disturb him. 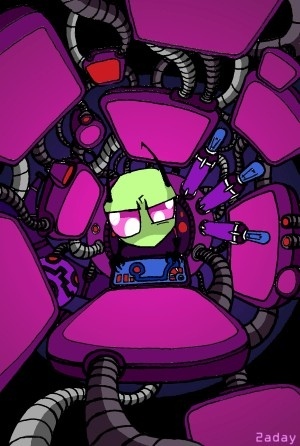 Zimmu?-- Zim in anime. 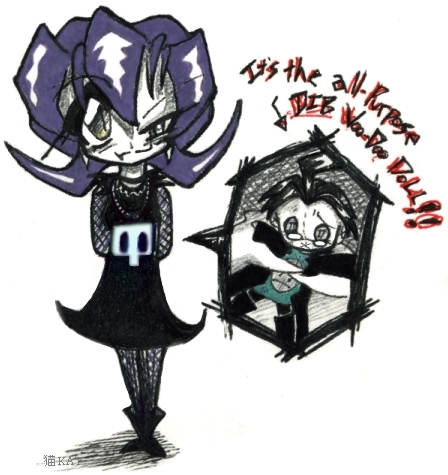 Her Dib doesn't look like a 16 year old like mine does. 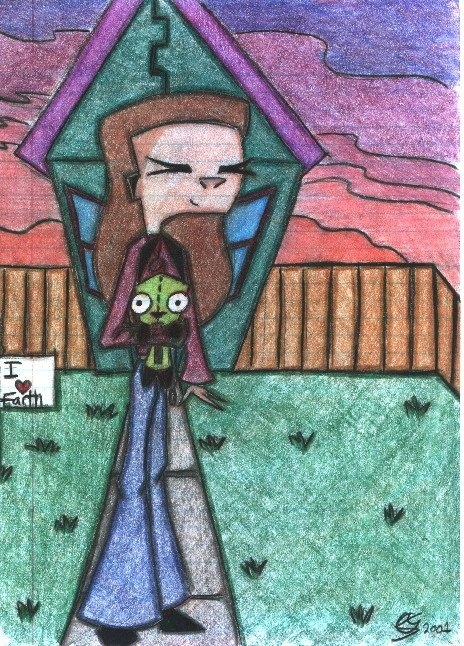 :p But hers looks more psychotic! 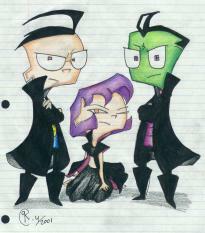 And she actually managed to change Zim some! 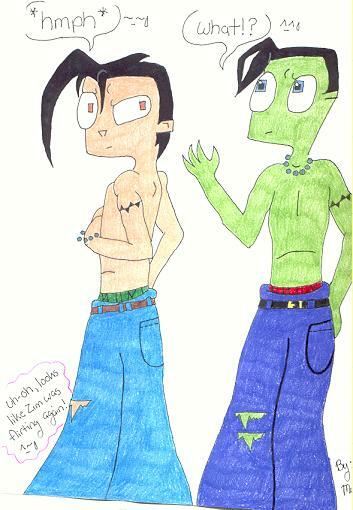 *in awe* Very nifty picture. 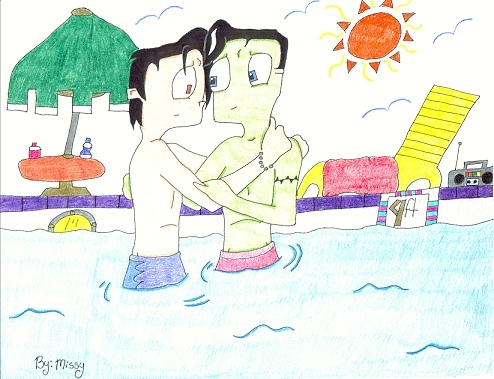 Present-- I love this picture, SIRs in love . 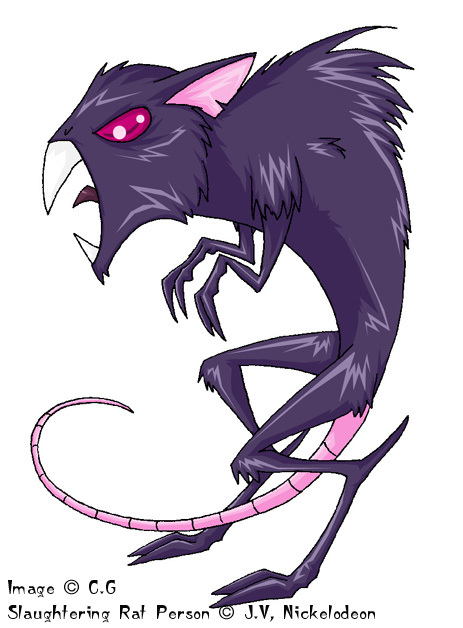 . .
Rat-- One of the slaughtering rat people. 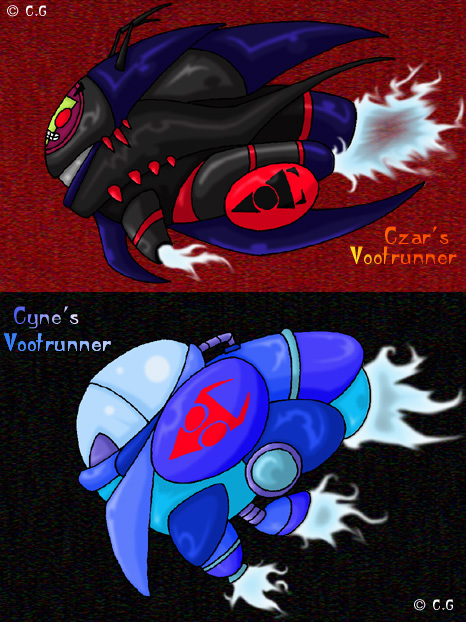 Vootrunners-- Czar and Cyne's Vootrunners . 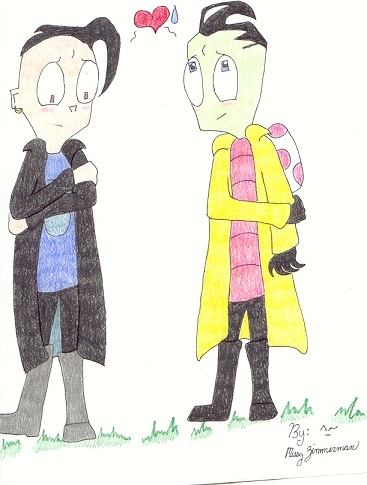 . . how spiffy . 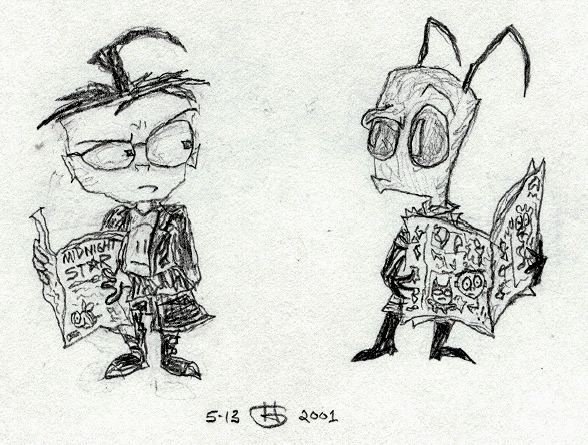 . .
Zim Reading-- Zim, well, reads! 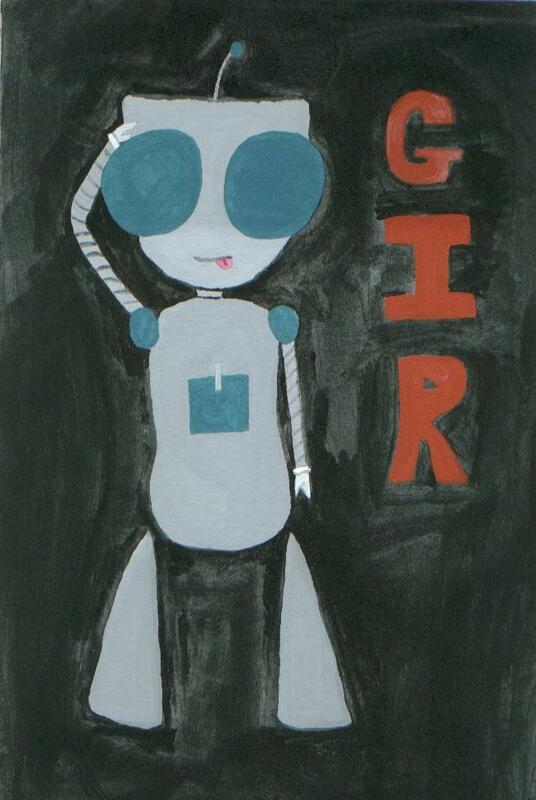 Ariel-- She likes dancing and she's a pretty little alien. 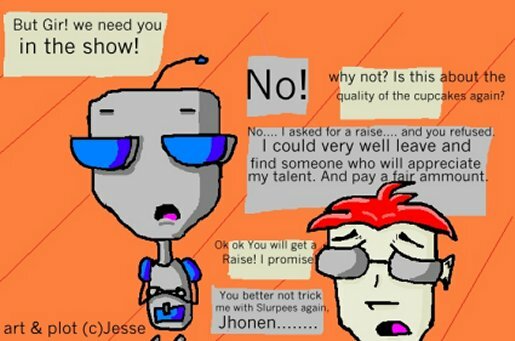 Uhm . 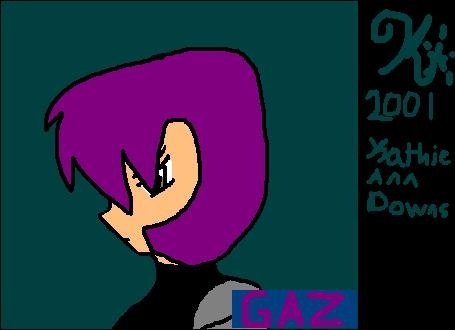 . . Goth Child Gaz? 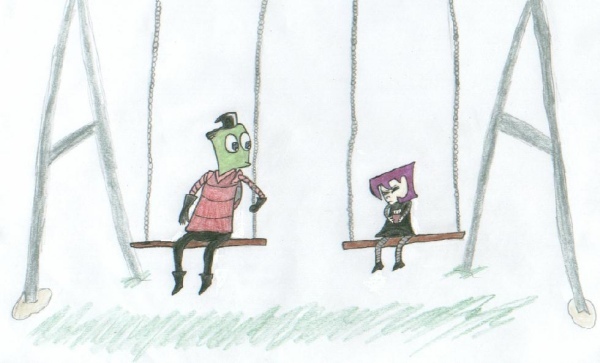 "Purple, where's my fish?" 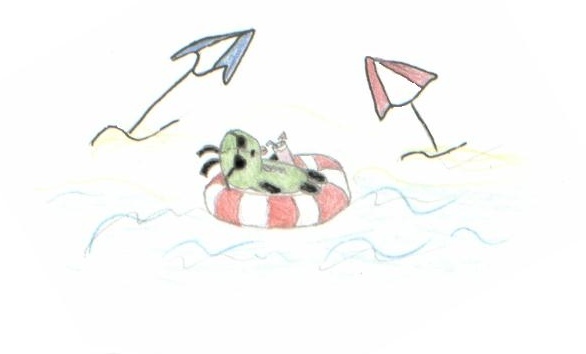 -- How sad, Purple's kitty thing ate Red's fishie thing. 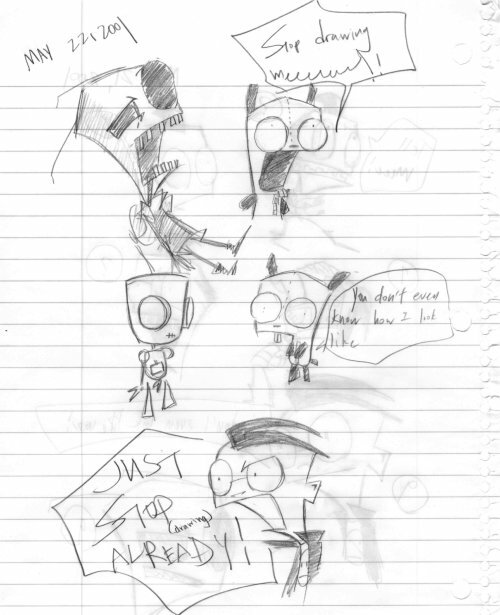 Paranoia-- Zim is having a nervous breakdown, excuse him. 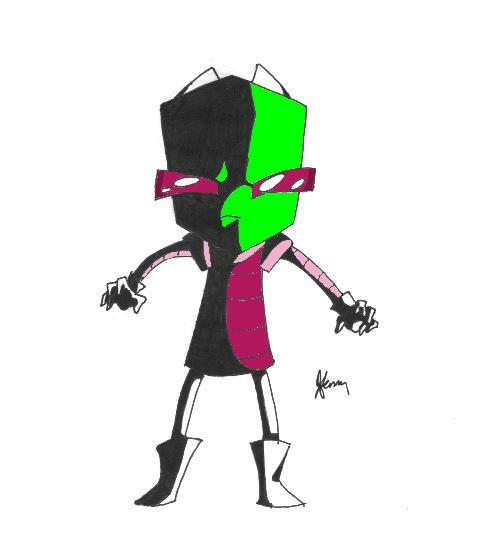 Zim Angel-- Kinda . 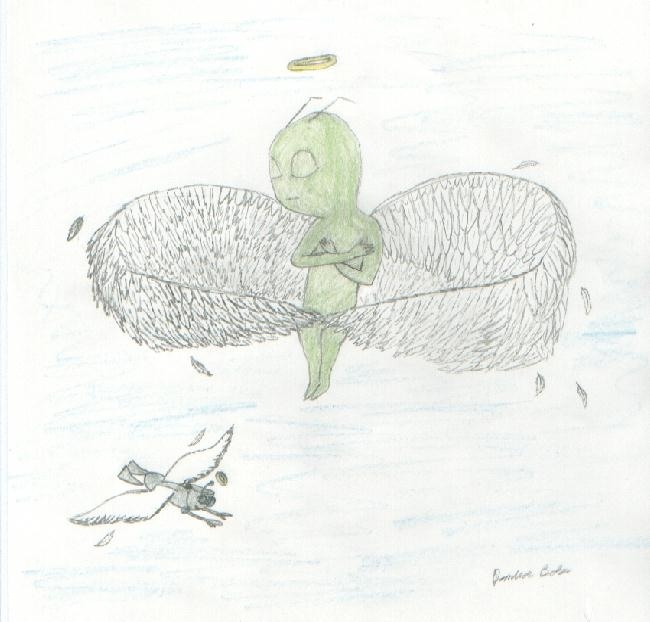 . . odd, but I like the litte angel GIR. 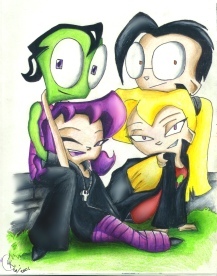 Zim doesn't have a belly button! 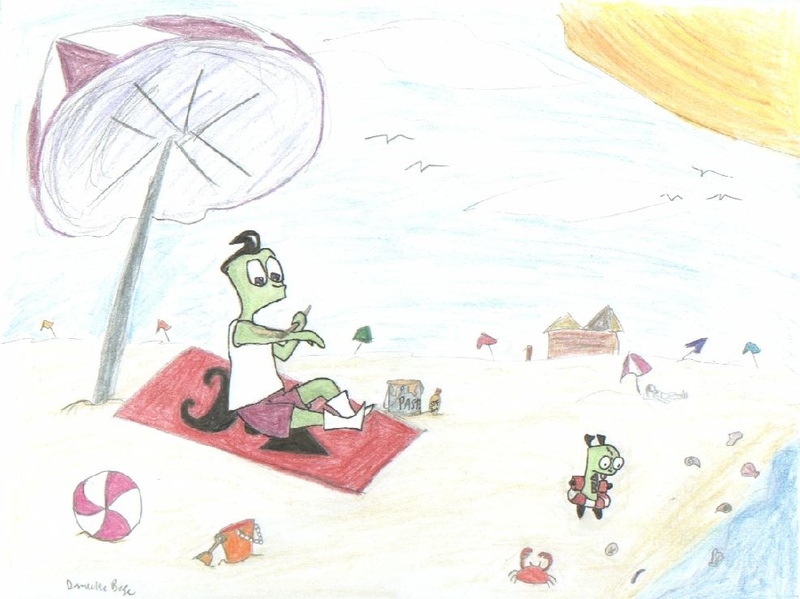 Zim applying the needed paste for swimming-- Better than sunscreen! 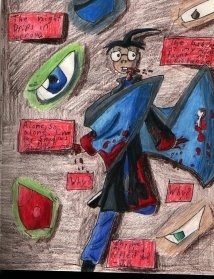 Imposter 1-- From her fanfic. 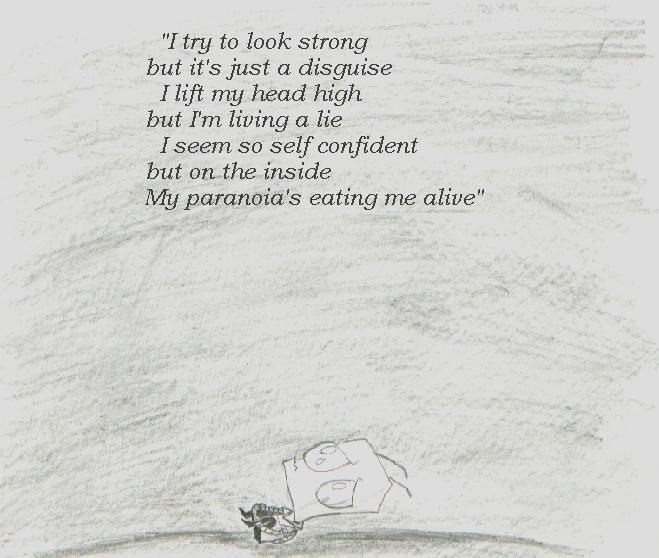 "I can see you!" 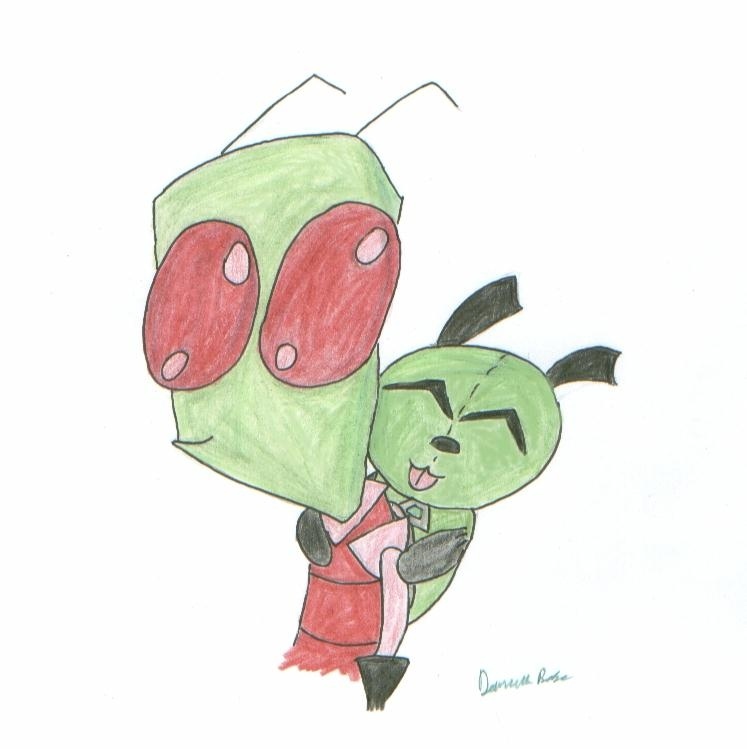 -- GIR is trying to hug you through the computer, aw. 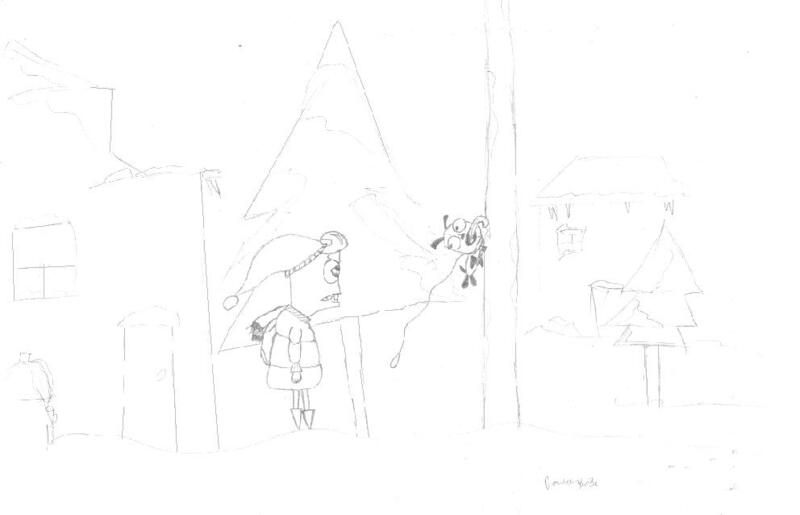 Don't like the poles in the winter! 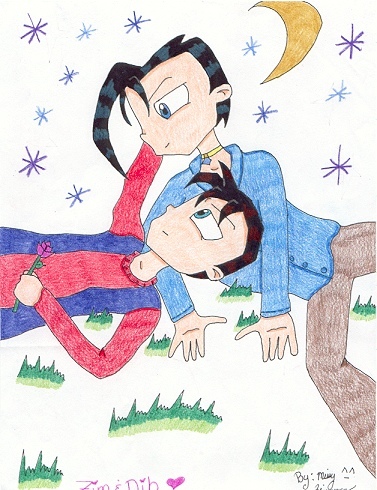 Bunny Dib-- Awww . 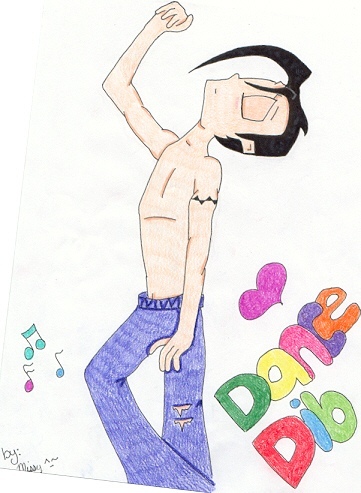 . . reminds me of a Vasquez picture . 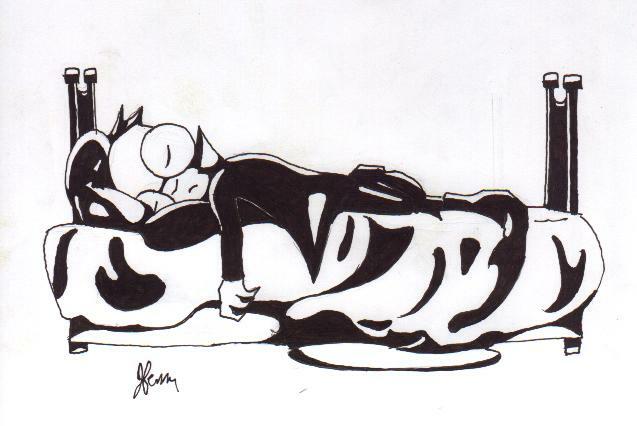 . .
Kitty Gaz-- Awwwwww matta matta . 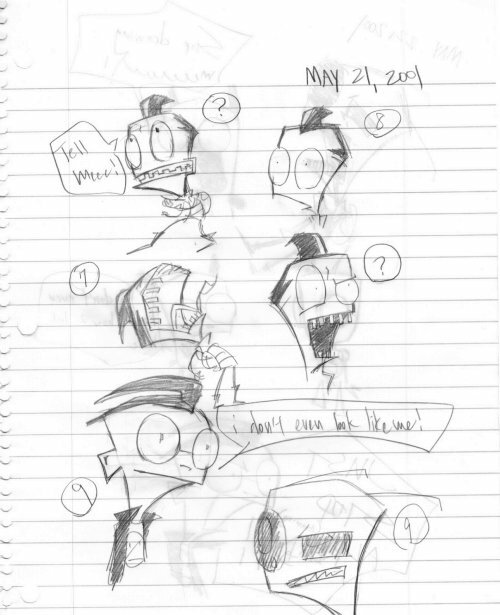 . .
Dib Voodoo Doll-- Gaz is getting really creepy. "I saw a squirrel! 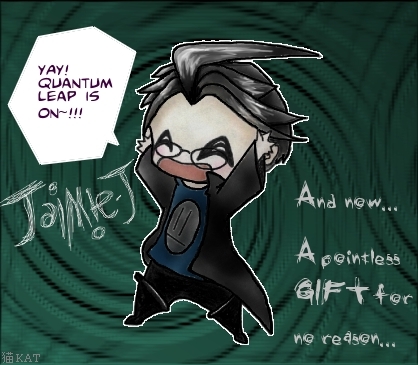 It went like THIS!" 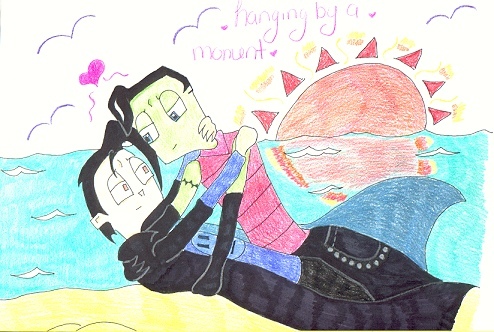 Dib flopped in bed-- Aw. 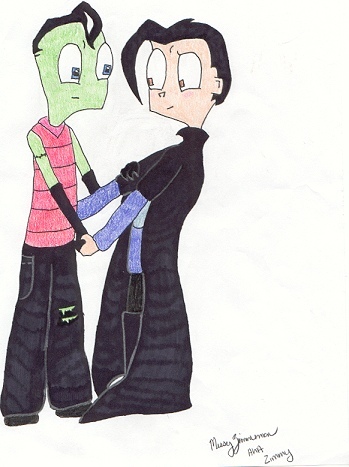 Zim and Gaz-- A very very cute Gaz x Zim picture! 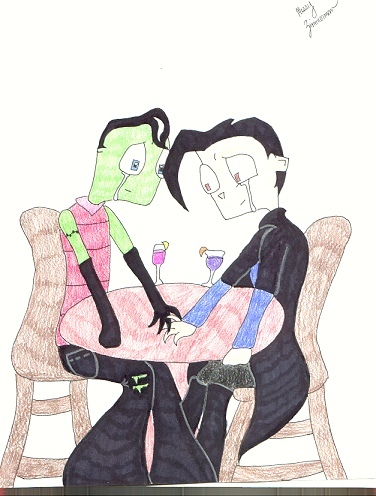 Zim and Dib on a date-- Don't as me why they're crying for I do not know. } 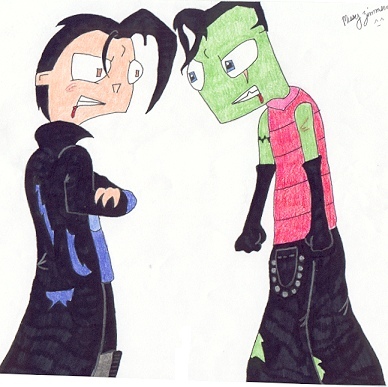 Fight-- Now they got in a fight, how sad. 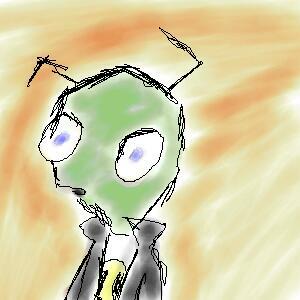 Love 2-- Another like the above. 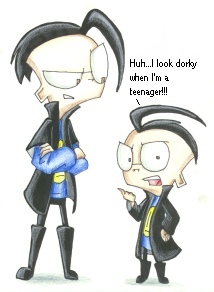 Zib-- Zim and DIb's son. Ask Missy about it, not me. 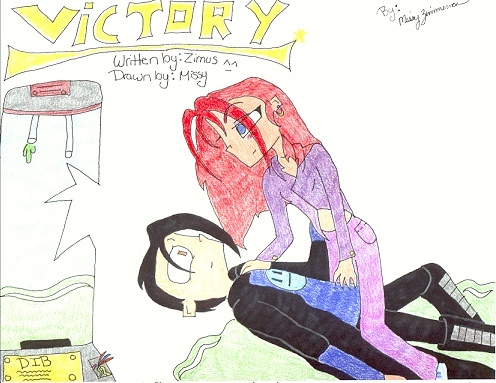 Victory-- From another fanfic, some gal saves Dib. Fight-- She's aware of the whole water thing, don't bug her. 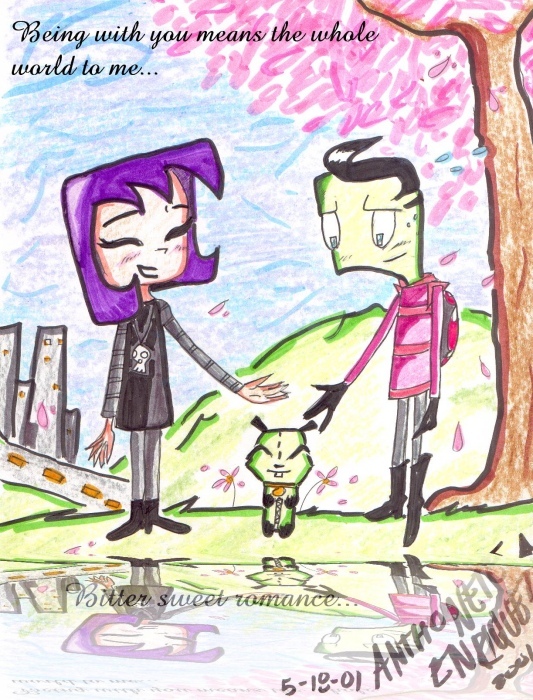 Flirt-- Christ, Zim, sure, flirt in front of your boyfriend! 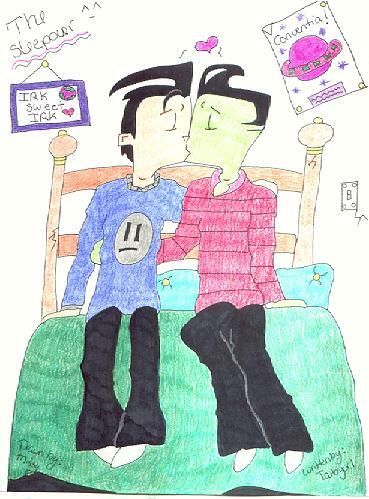 Kiss-- From a fanfic where Zim and Dib had to live together for a time. 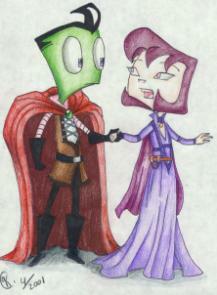 After the Ride--Zeta, an original Tallest character gal, with Purple, after a ride, I suppose! 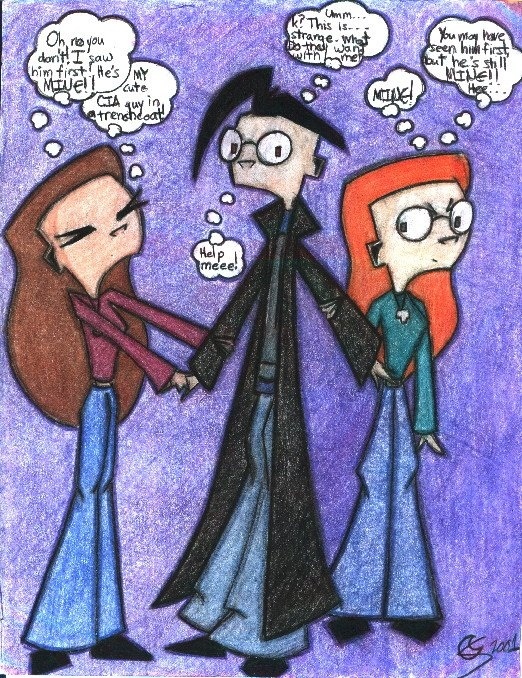 Dib Fight-- I can only assume two girls are fighting over Dib . 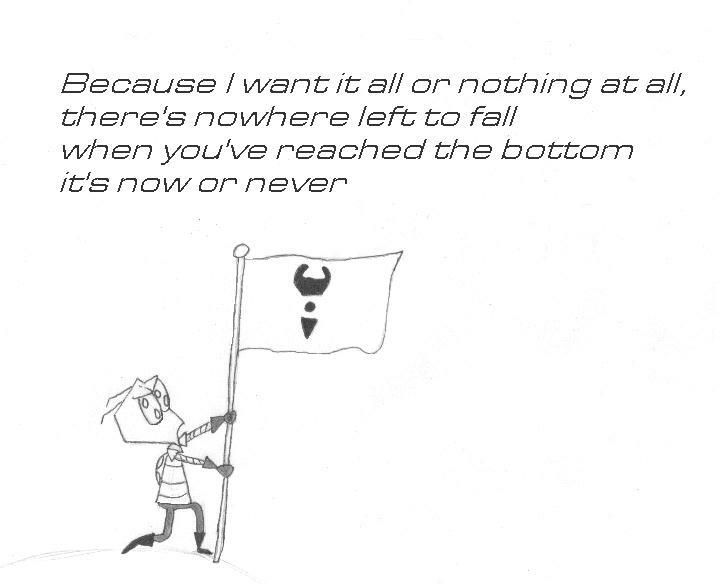 . . for that's exactly what it is. 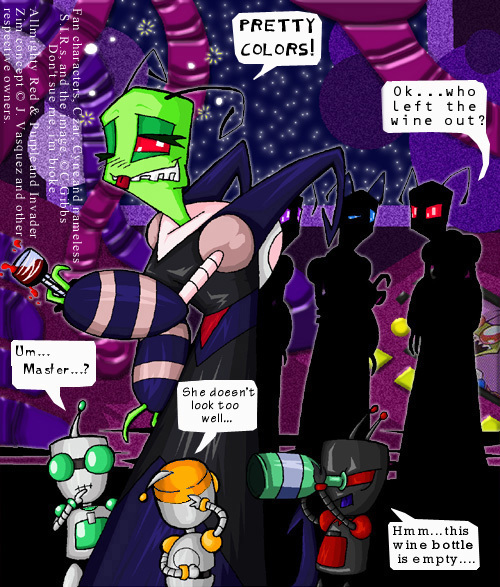 Drunken Dream-- Naughty Zeta got into the booze again. 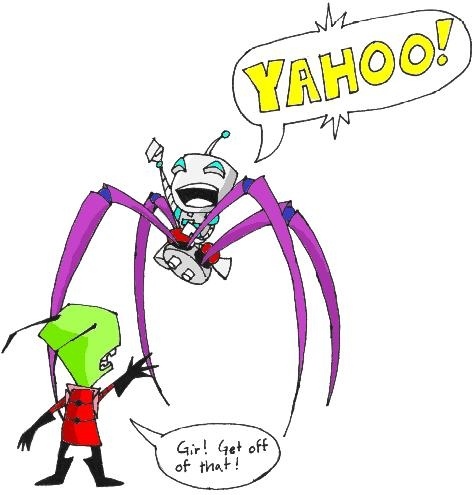 Clink-- Purple and Zeta celebrate something. 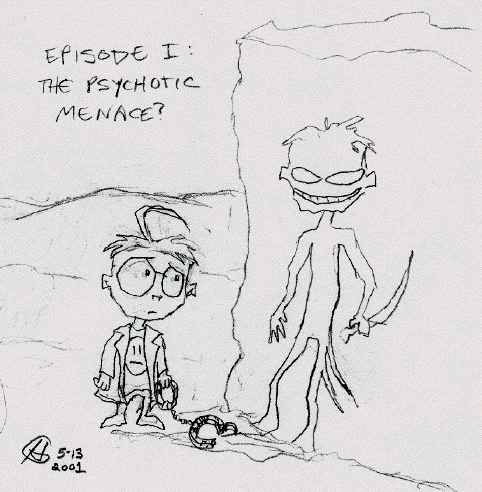 Episode I: The Psychotic Menace? 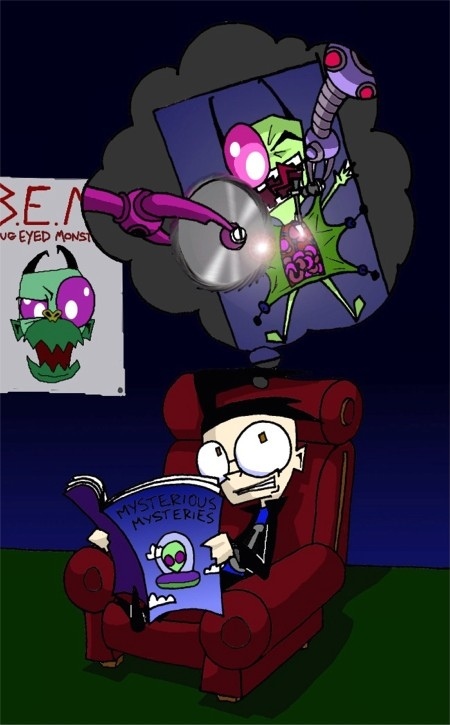 Zim's Dream-- Featuring a joke from the Meanwhile strips! 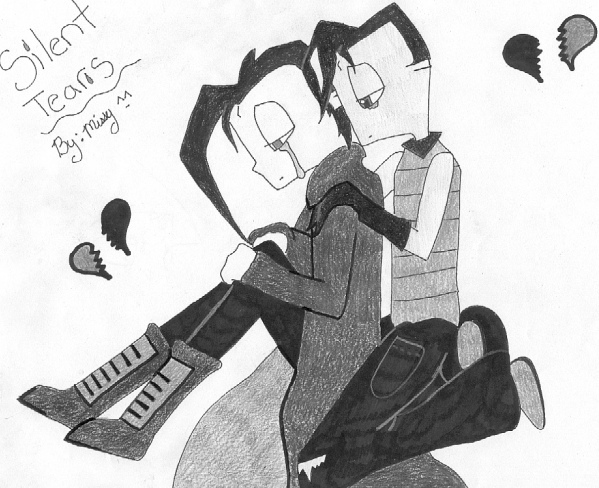 Valentine's-- Funny picture. 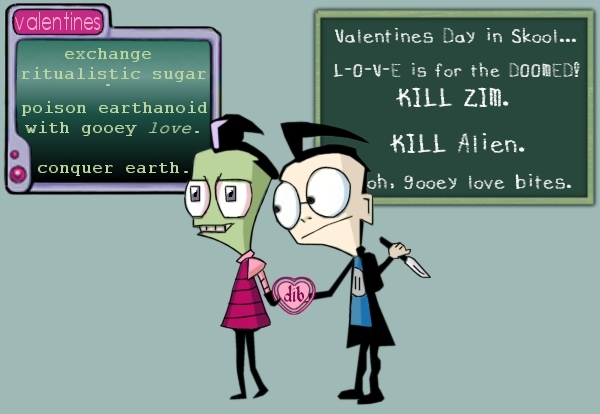 XD "Gooey love." 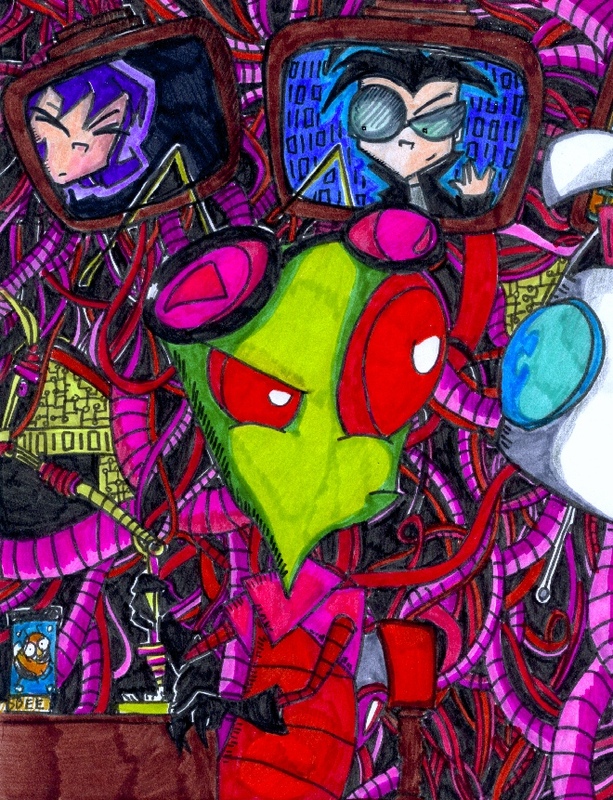 FAN MADE WALL PAPER! Woot.